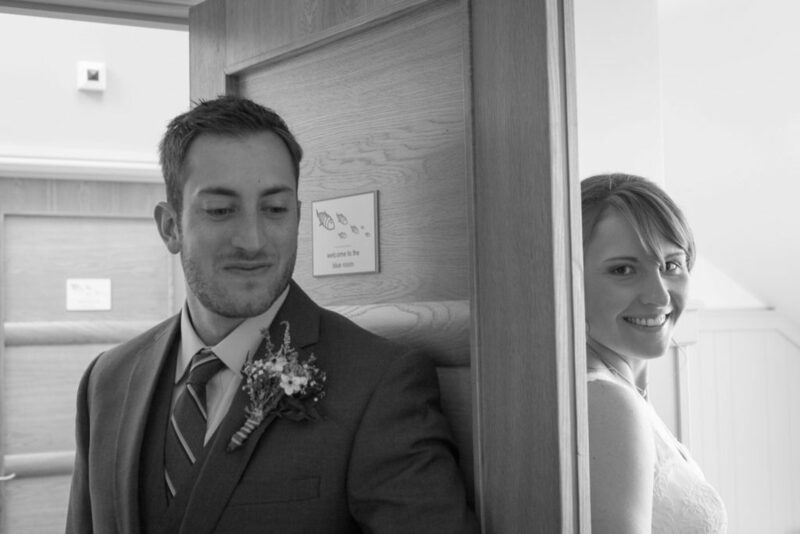 Our couple from Wisconsin are a fun loving couple and up for just about anything. 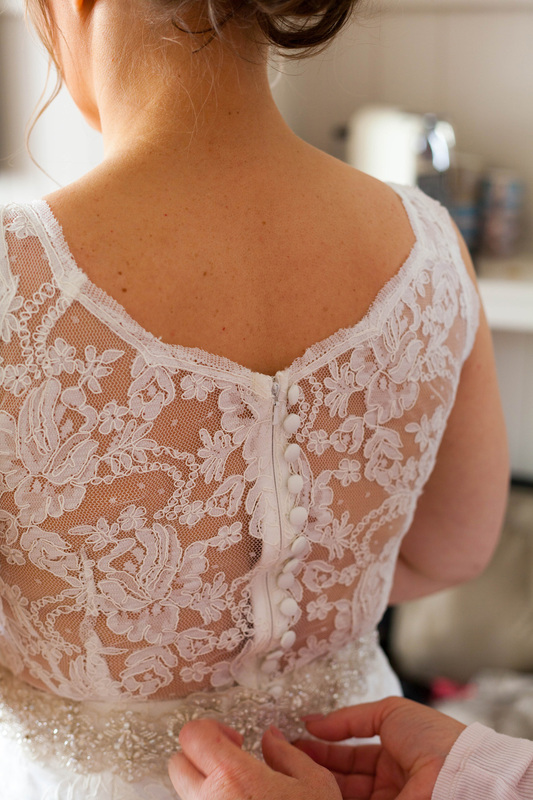 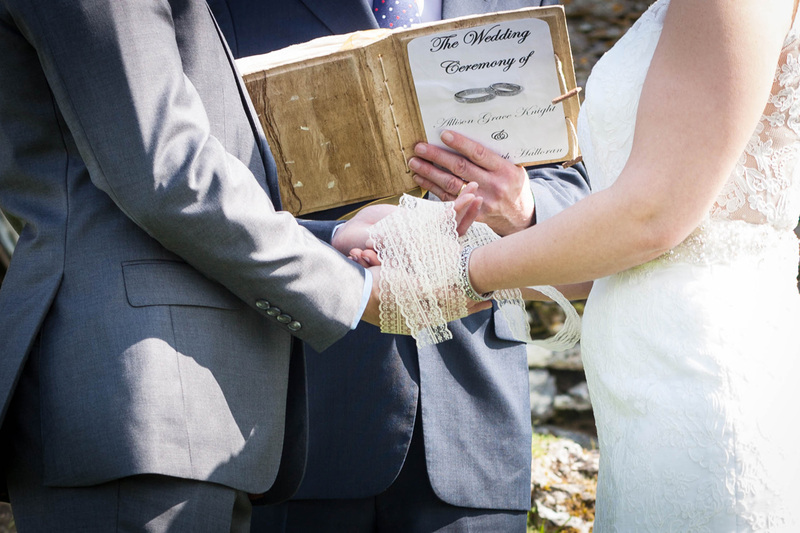 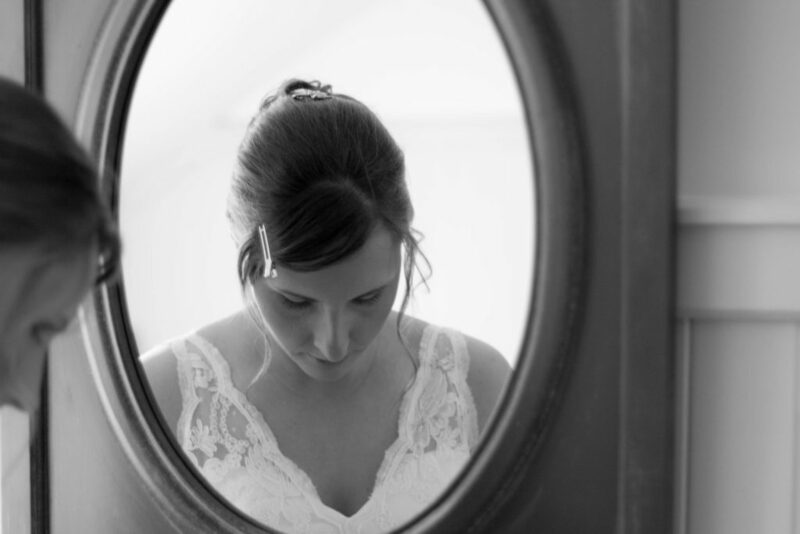 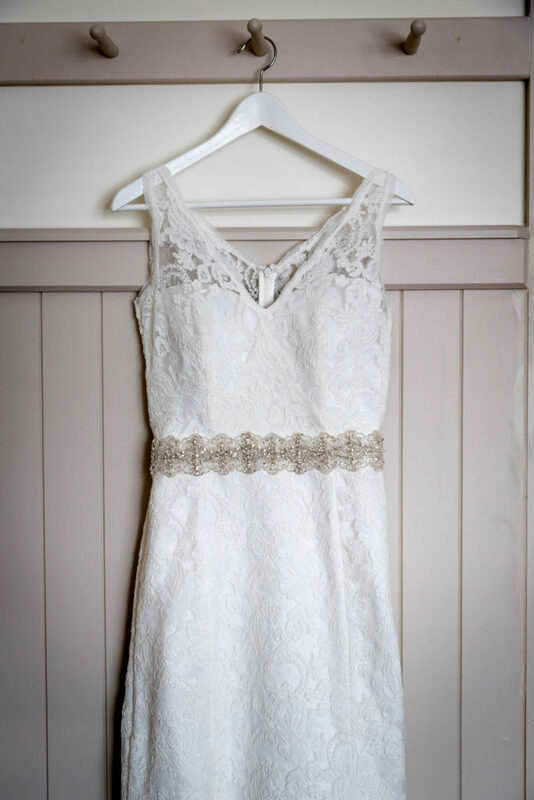 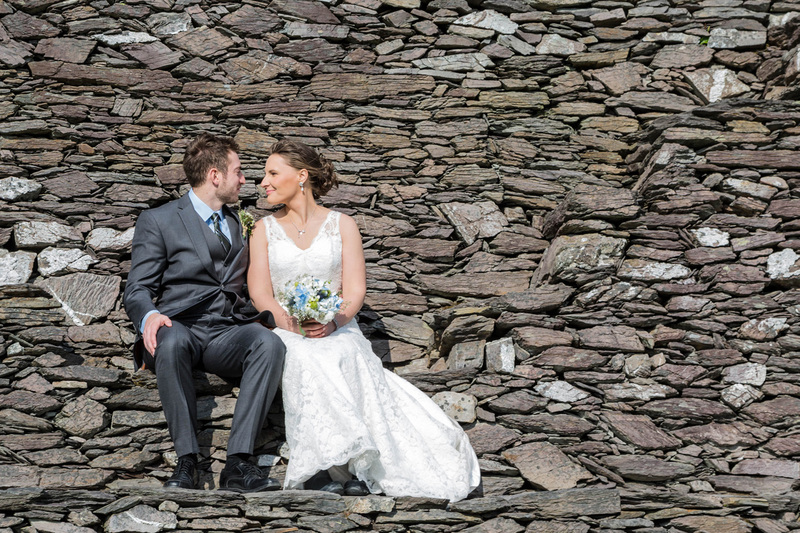 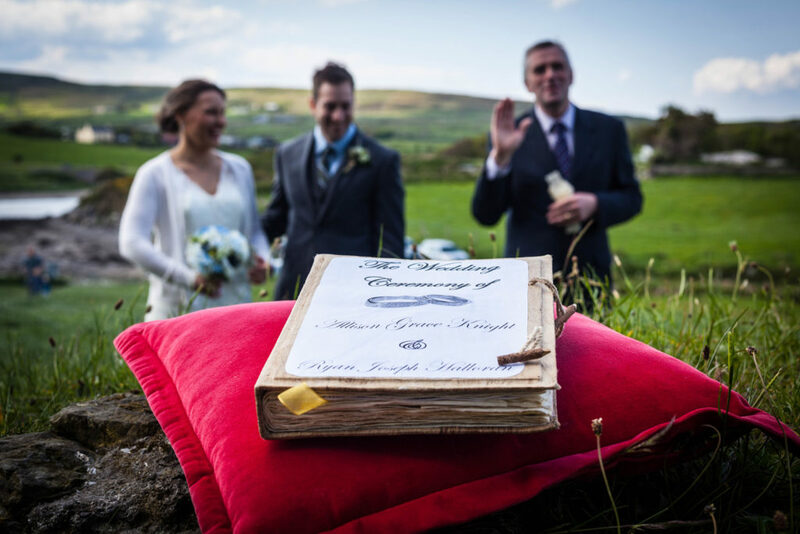 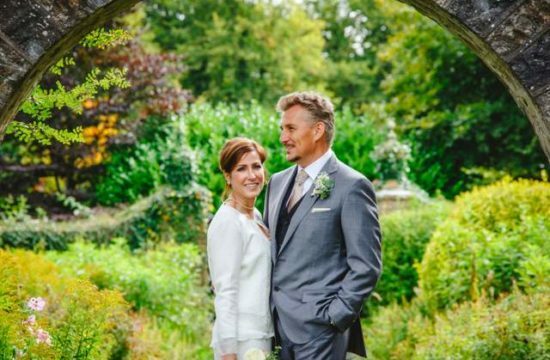 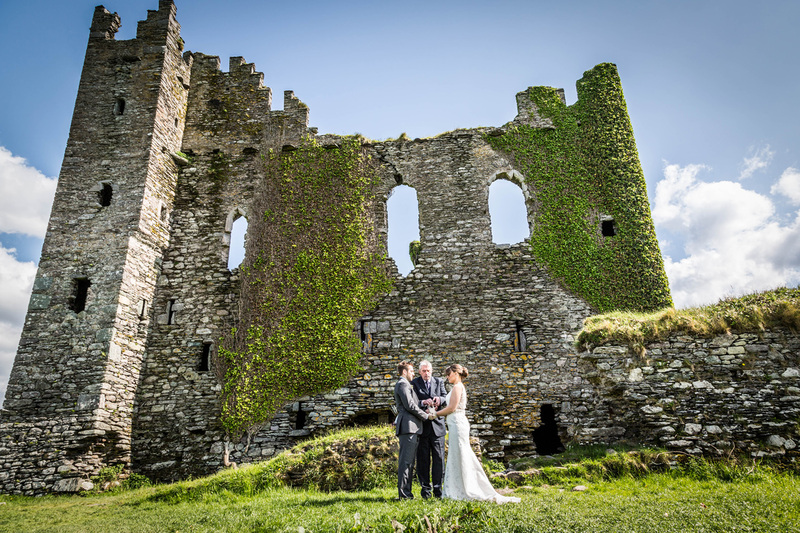 Their elopement at Ballycarbery Castle is a long-cherished memory. 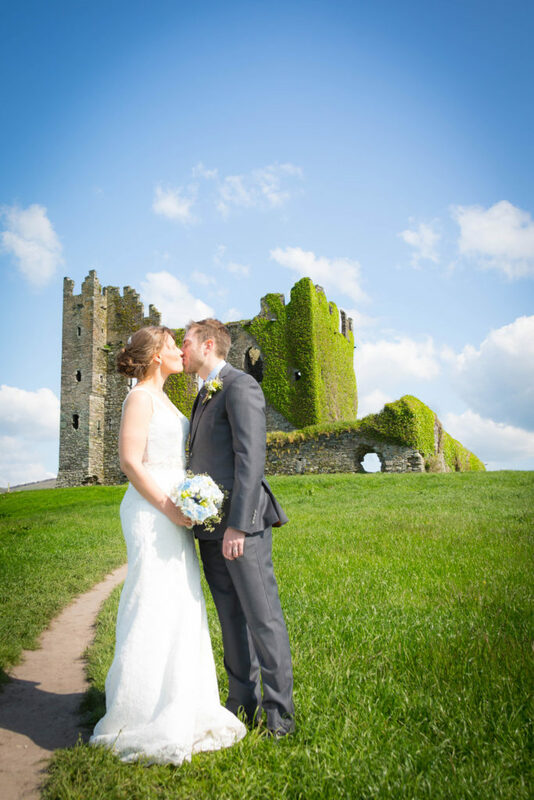 One of the first we did here at Elope to Ireland. 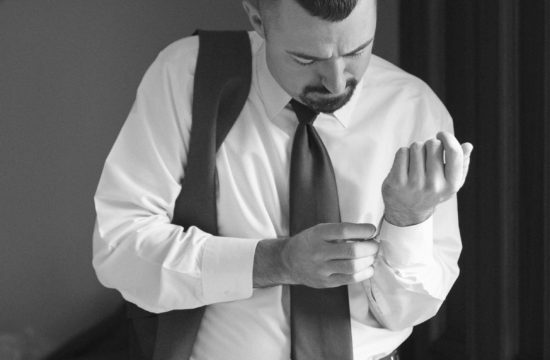 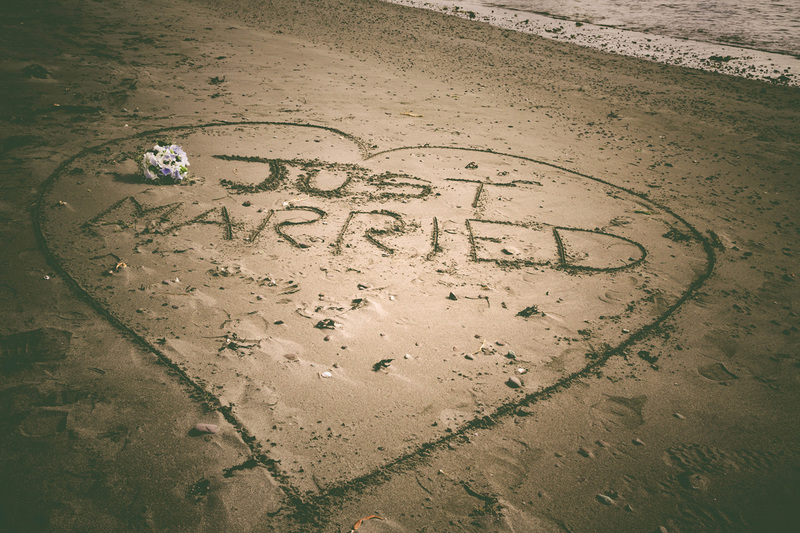 It’s a great feeling when a couple trusts you to find a location for their ceremony. 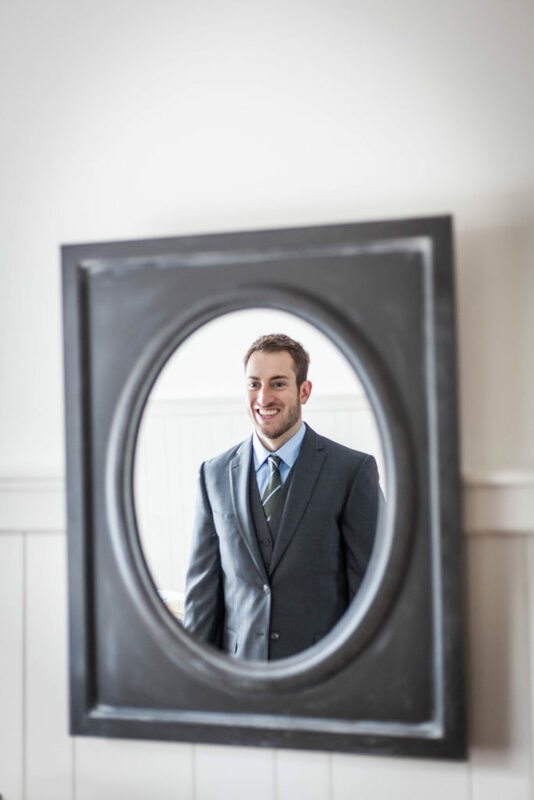 Brings back some great memories. 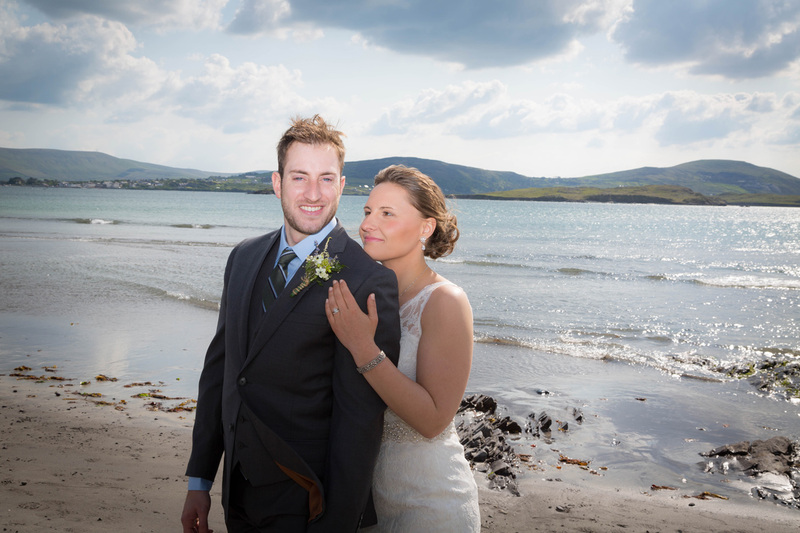 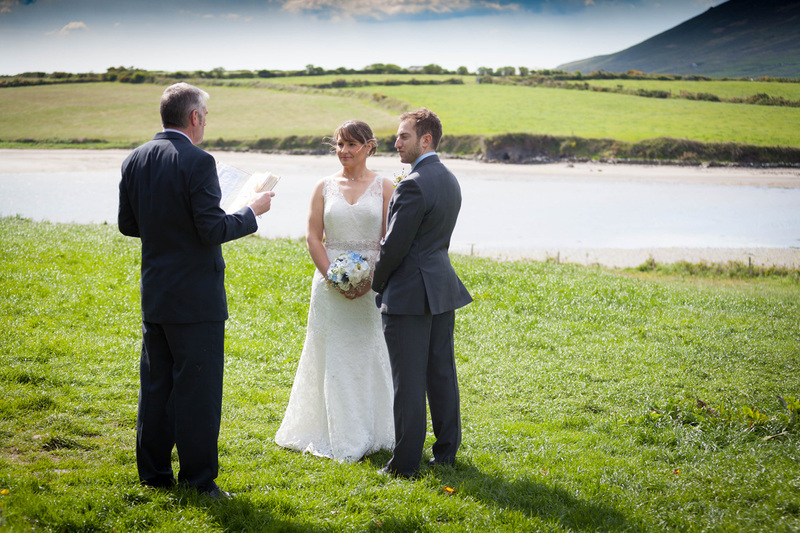 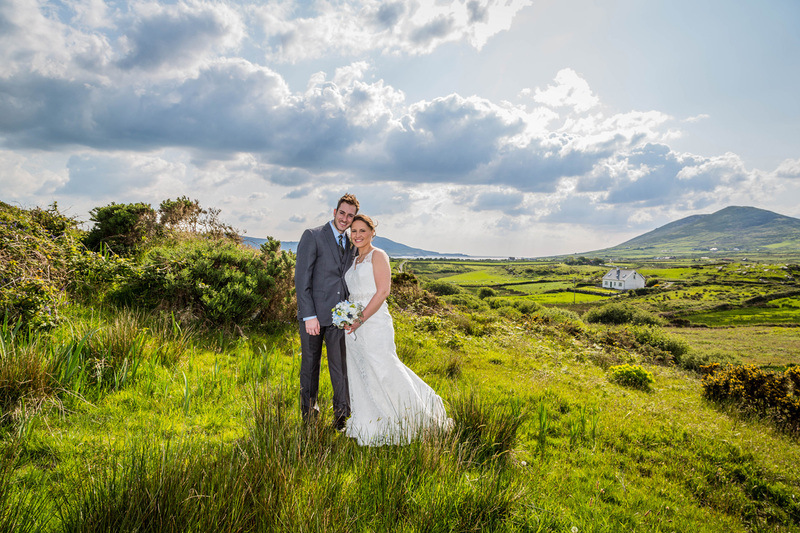 Our couple stayed with Andrew and Kate at QC’s in Cahircaveen. 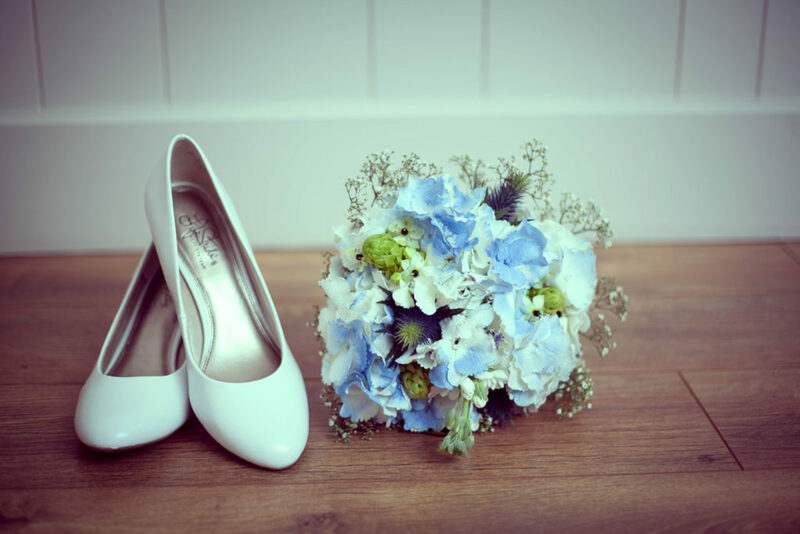 Who were just the best. 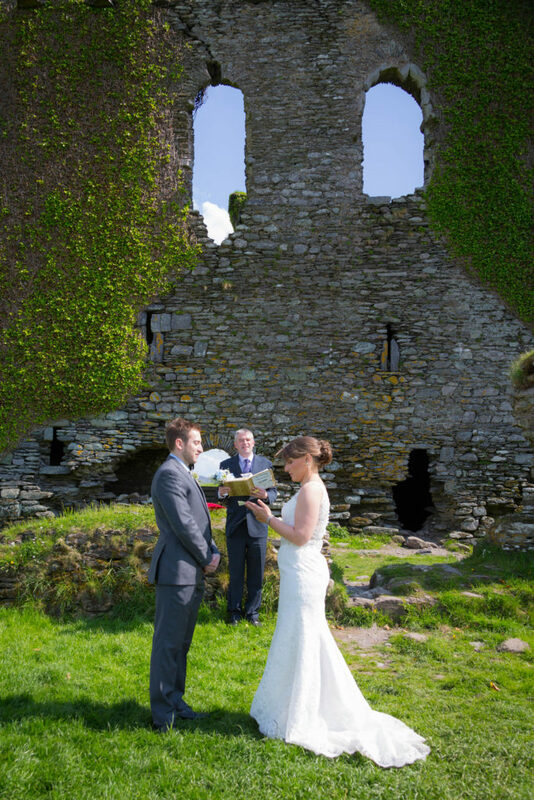 The Flowers were from Bud and Blooms in Cahircaveen. 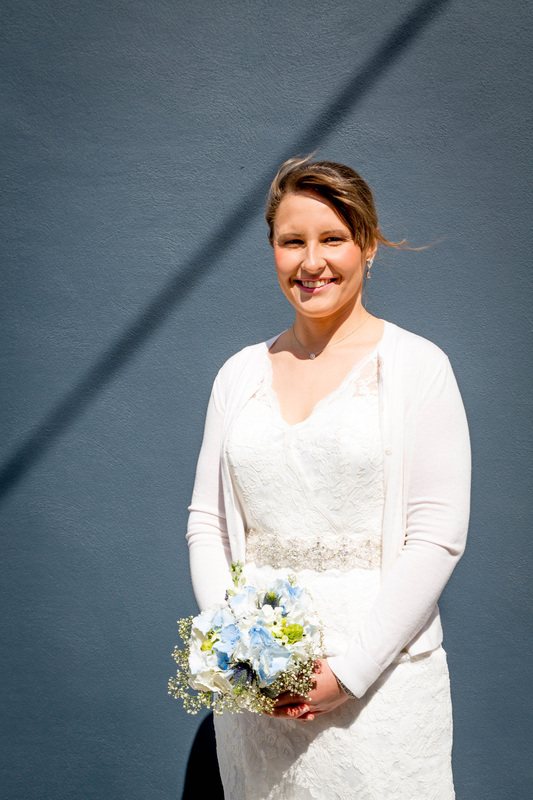 Thanks, Martina!! Allie looks a picture here. 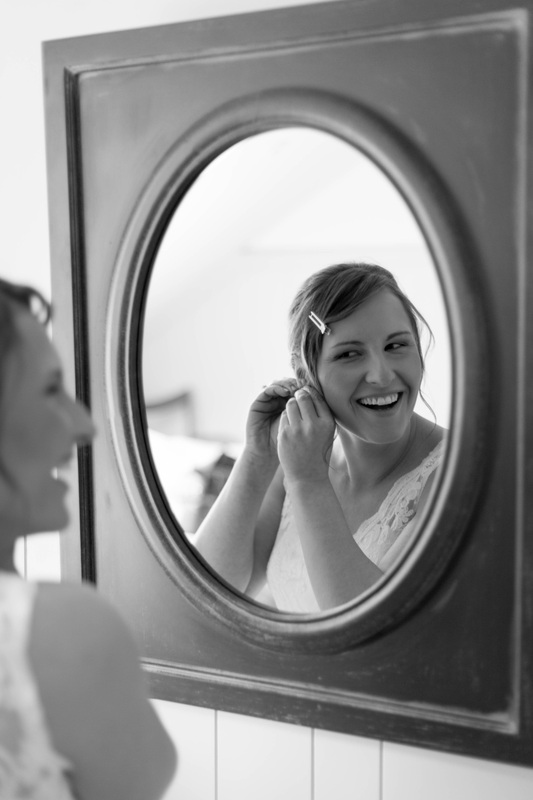 Hair was by A Cut Above in Cahircaveen and makeup duties fell to The Beauty Clinic. 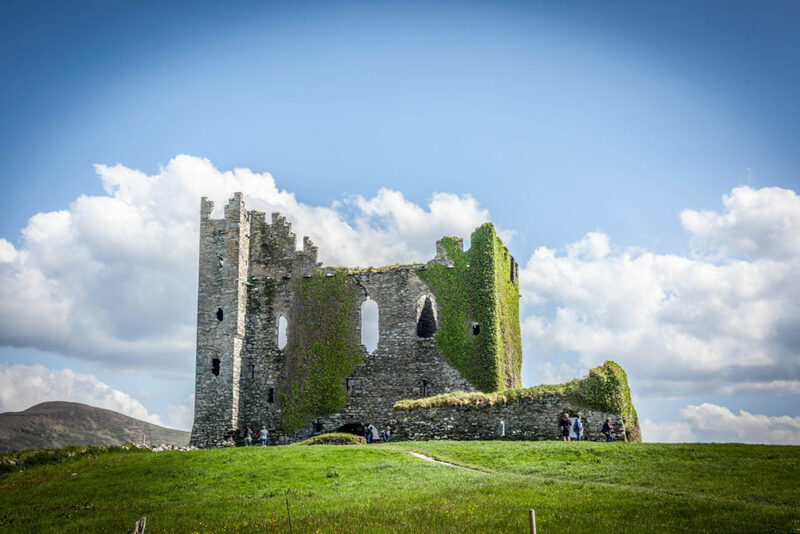 Ballycarbery castle itself has seen better days when was once the home of the Mc McCarthy Clan and it still has some spectacular views and worth a visit. 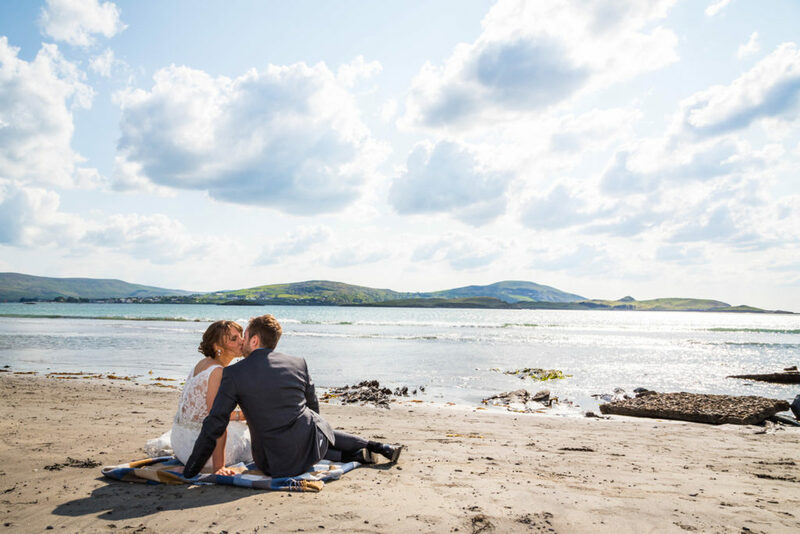 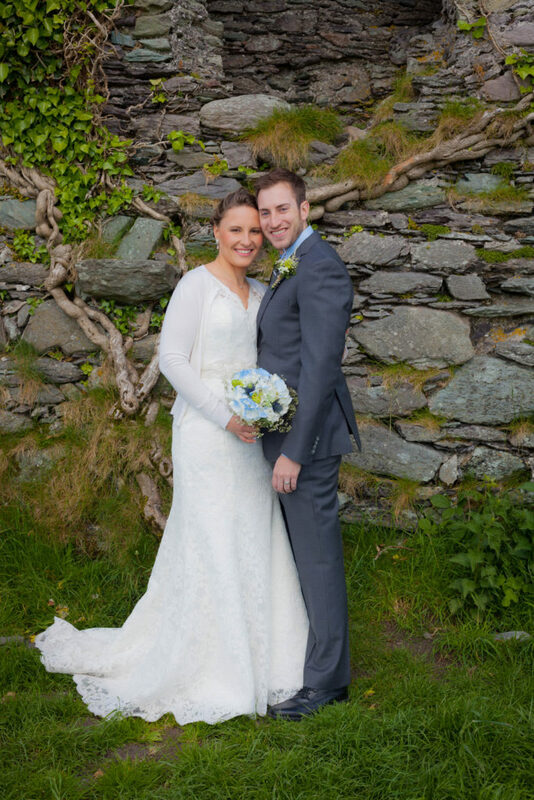 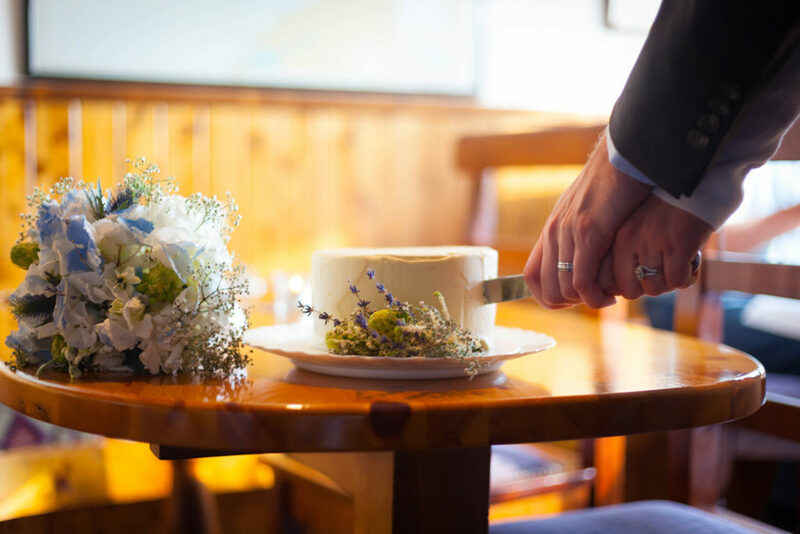 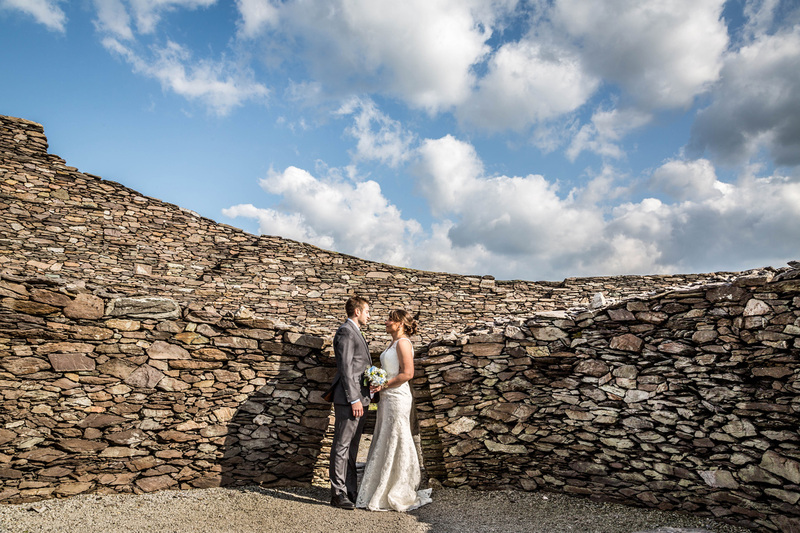 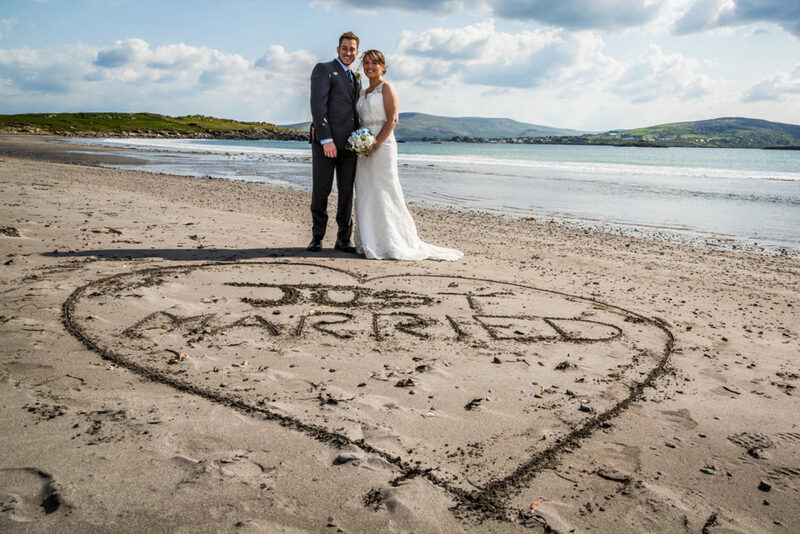 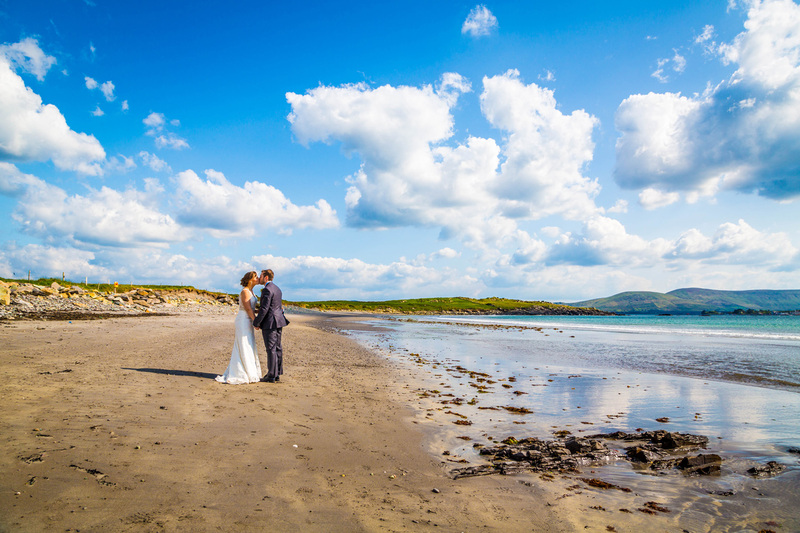 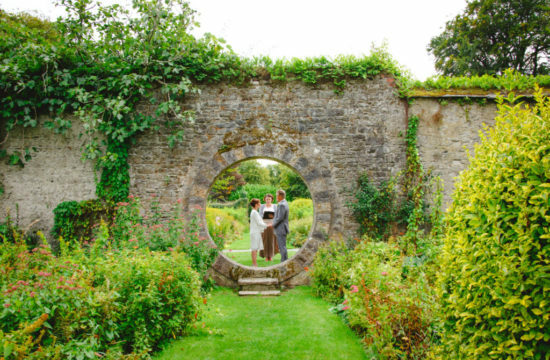 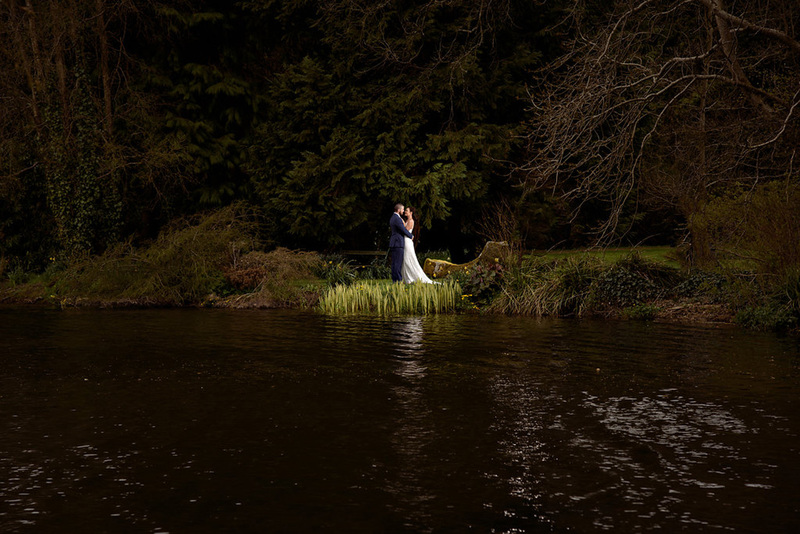 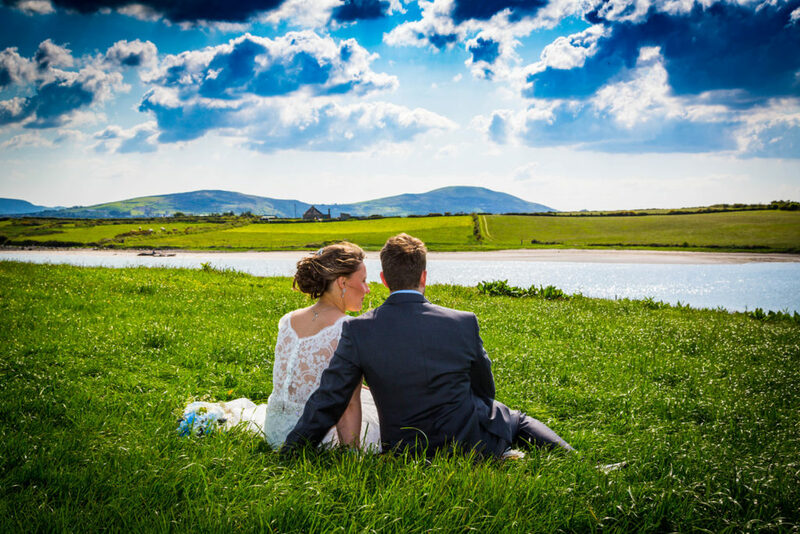 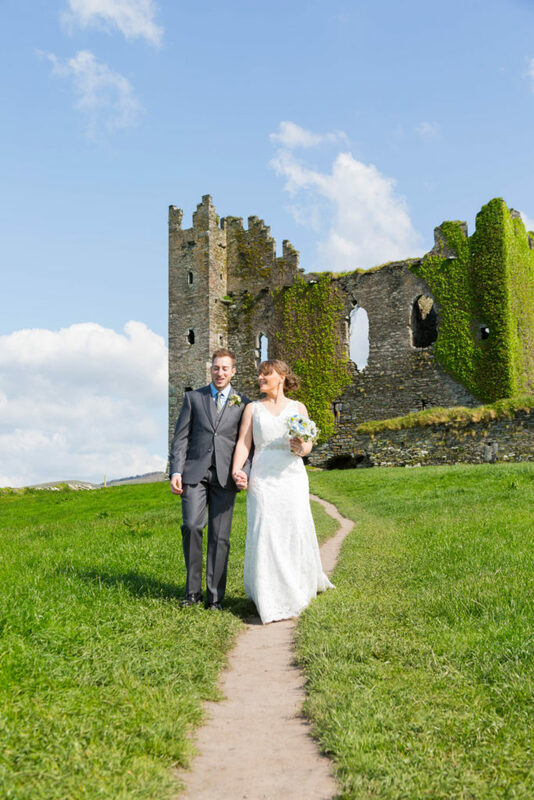 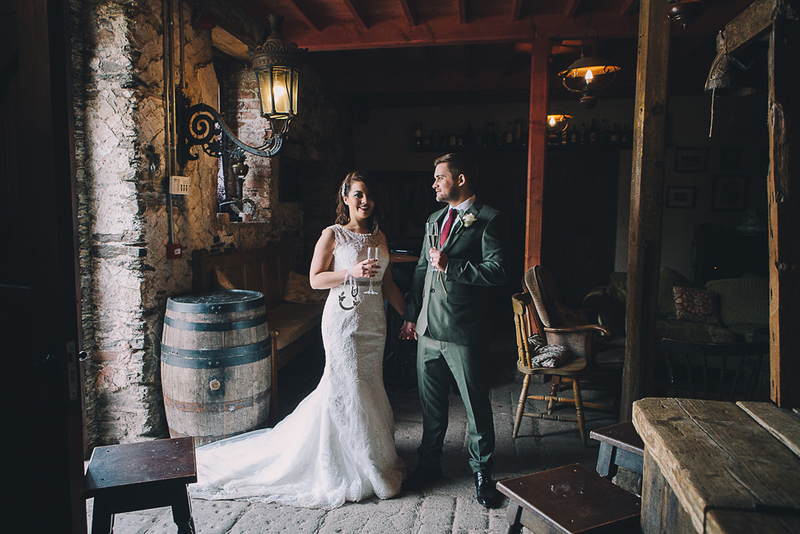 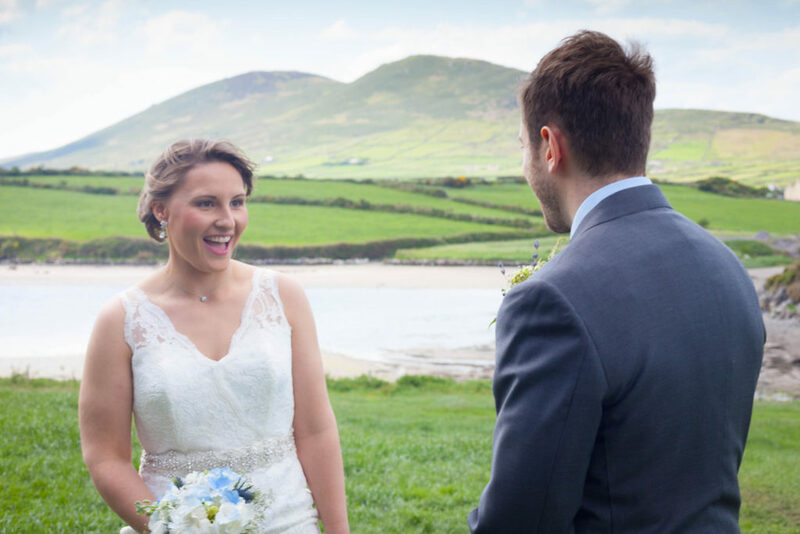 We did show our couple some other ceremony locations such as Bantry house and Dingle Castle but they decided on Ballycarbery Castle and a great decision don’t you think? Ray, Allie and Ryans celebrant for the day has great local knowledge in regards to the surrounding area and they were in capable hands. 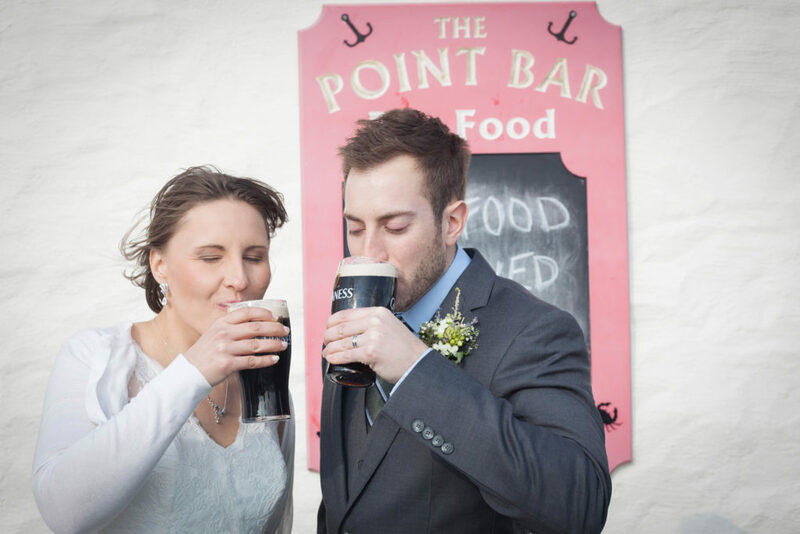 Have a pint at the Point bar. 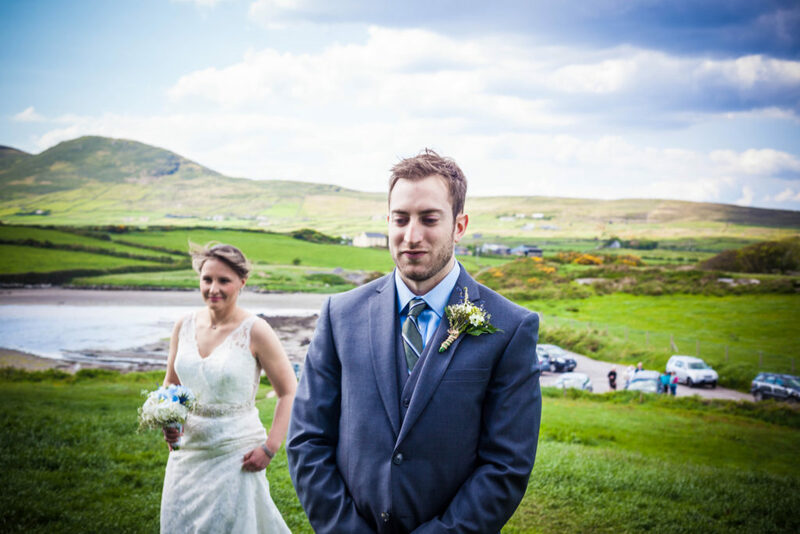 Not exactly St Patrick’s day in Milwaukee but not bad though!!! 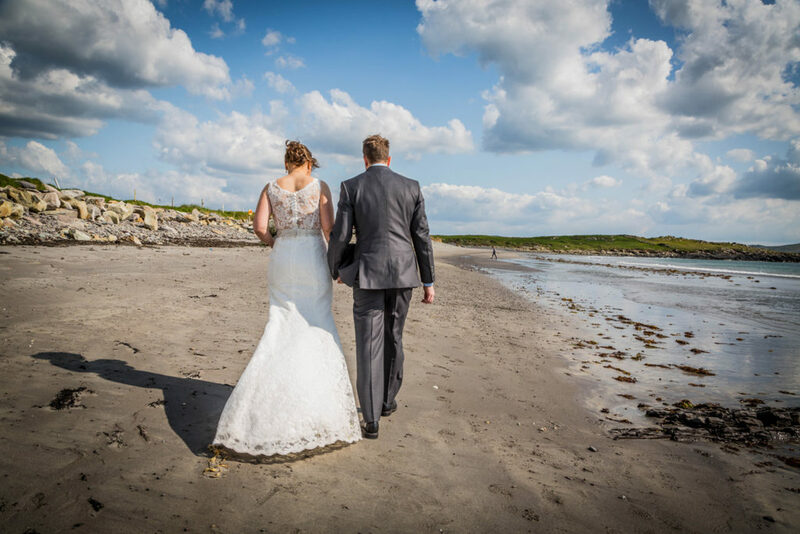 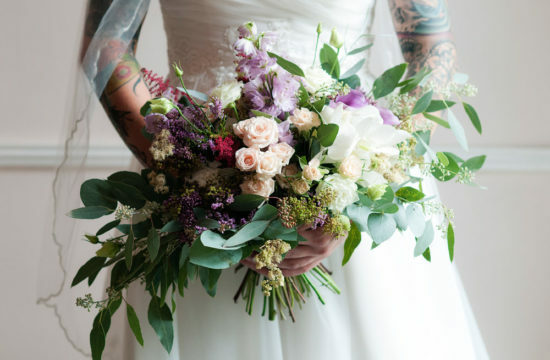 We would like to thank all the suppliers for their great work in making our couples day and we would like to thank our couple for the privilege to be involved in such a special time for them. 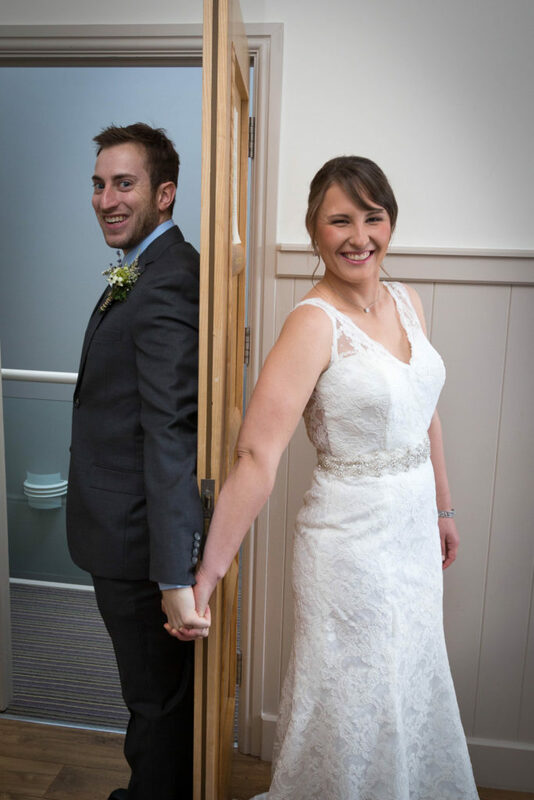 Still wishing you both All the Best.